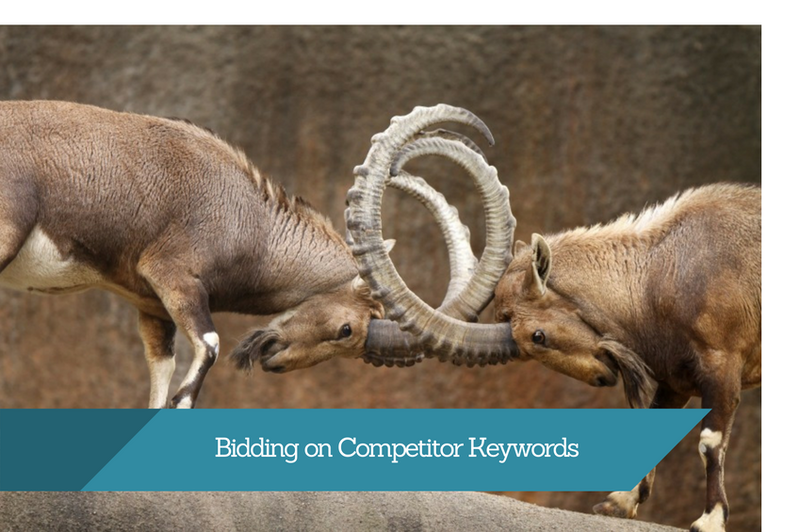 Bidding on competitors keywords can be a very effective strategy when done right, but it also can be risky and expensive if not properly executed. Below I will analyse Pros & Cons of competitor keyword bidding so you can decide if you should bid on them or not and do it the right way. To decide if you should create a competitor keyword campaign let’s look at the Cons & Pros. It is after-all an expensive and dangerous strategy, your Ad quality score will almost always be in the 2/10 – 4/10 range, this will result in high CPCs and poor Ad Rank. You might also be starting a war with your competitors so they might start bidding on YOUR keywords, which in turn will make it more expensive for you to convert on your own brand. There’s big room for expensive mistakes if not done properly. It is less competitive, although your CPCs will be higher than normal poor quality score, you’re often the only one or maybe two bidding on these keywords which makes it easier to attain a high impression share. It can be an effective strategy to target user’s that haven’t heard your name but you provide the same products and services as the competitor they are searching. If our goal is also to create Brand awareness this one highly targeted way to do it. The first step would be to do complete competitive keyword analysis and research, is the competitor bidding on their own keywords? is somebody else bidding on them too? 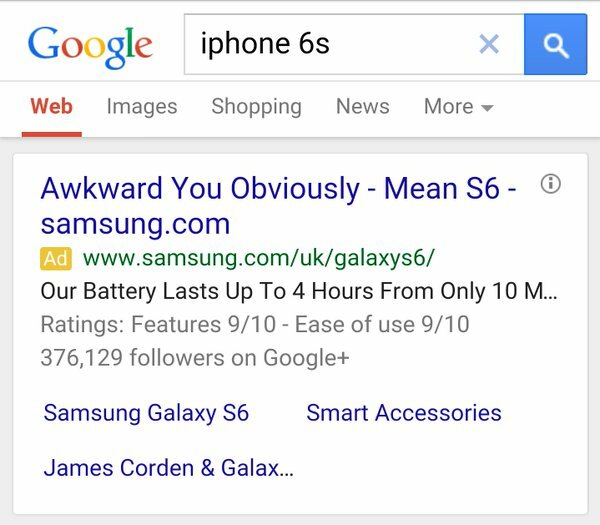 are some specific competitors keywords not being bid on? We need to find these things out to plan our approach for the best results. If more than 1 person is already bidding on competitor then this is gonna make it even more difficult and expensive, we need to find the spots that will give us the same results and still meet our target CPA. We need to look for those keywords with few to no competition preferably, and not just the brand name we are targeting but more specific queries to maximize our reach and understand our user search behaviour. We are targeting another brand’s users, they might already have made their decision to go buy at Walmart, so our Ads we need to put some extra effort in our Ads to capture the user’s attention, remember we are paying extra by having low-quality scores by bidding on another brand’s name, let’s make each impression count. We’re spending top-dollar on these users so we have to make sure we squeeze every opportunity available at our disposal. We can qualify our traffic by creating a Remarketing List for Search Ads by creating an audience that 1. Has previously been to our site and 2. Is now searching for our target competitor. This should result in higher Ad relevance for your users and consequently an expected increase in CTR. Search Remarketing Lists can be done to target visitors that visited specific pages on our site other than just all visitors, this is important to promote specific products or services and have an even more targetted Ad strategy. Although bidding on competitor keywords can be an effective strategy, it can also be very expensive, and may not even be right for you. It’s important to take a look at what your target CPA is and act accordingly. These people are searching for your competitor’s brand so they are going to be a hard sell from the beginning. While it still can be done effectively, it will probably be one of the more expensive conversion sources within your different channels as you would have to change consumer’s mind. For people that really can’t afford a high CPA in their campaigns, this might not be the best option. However, it is still a strategy that is worth testing for your specific market so I’d say go for it, as long as you are smart about it and educate yourself in the process. Thanks for putting this together, we’ve been doing competitor keyword bidding for some of our clients with mixed success, i agree that it takes constant optimization to be able to come out ahead.